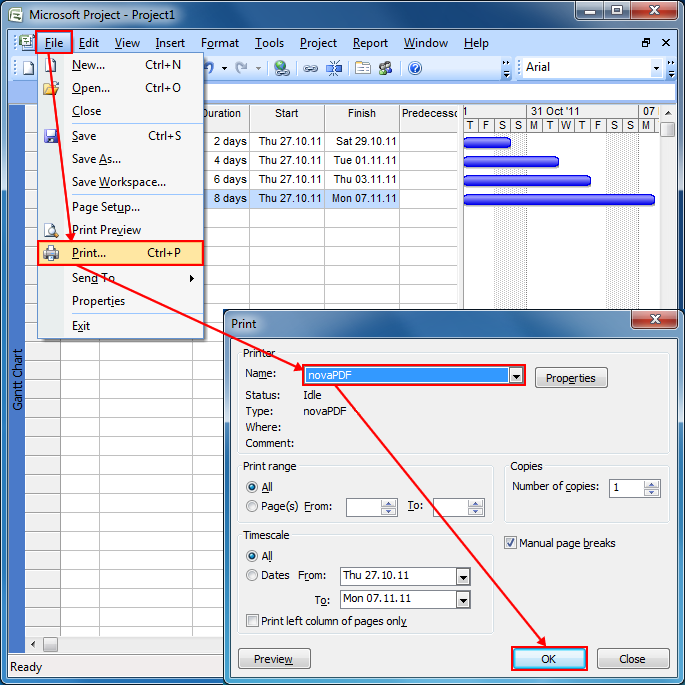 Microsoft Office Project is a software used to schedule and control projects. If you need to send a Microsoft Office Project file for review, physically printing or share it with your team, it's recommended that you convert it first to a PDF. Document sharing is easier using PDF files, because the recipient does not need to have Microsoft Office Project installed. PDFs are "multi-platform", meaning the same PDF can be opened both on Windows and Mac powered systems, so by converting the original document to PDF the design of remains unaltered. 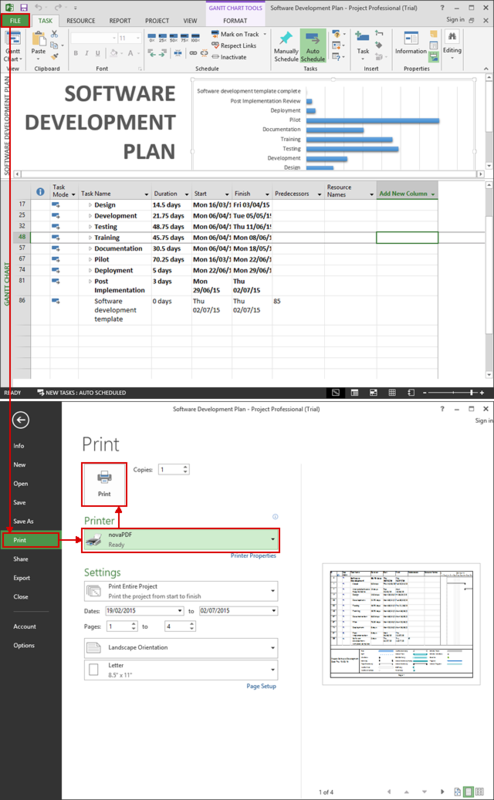 novaPDF is a PDF creator that once installed it offers and option to print your project to a PDF file - simply choose novaPDF as a printer and once you click the Print button your project will be converted to a PDF. Open Microsoft Project, go to File -> Open and browse for your file on the local computer or double-click on the file if you have its location opened already. Go to File -> Print, select novaPDF as the printer to be used, choose additional printing Settings available on the page and click on Print. In the Save PDF File As window select after save actions and merging options and click OK to start the conversion. Click on OK and choose a location where you want the PDF file saved. After the PDF is created it will be automatically opened in the default PDF viewer (this can be configured too using novaPDF's Properties window). 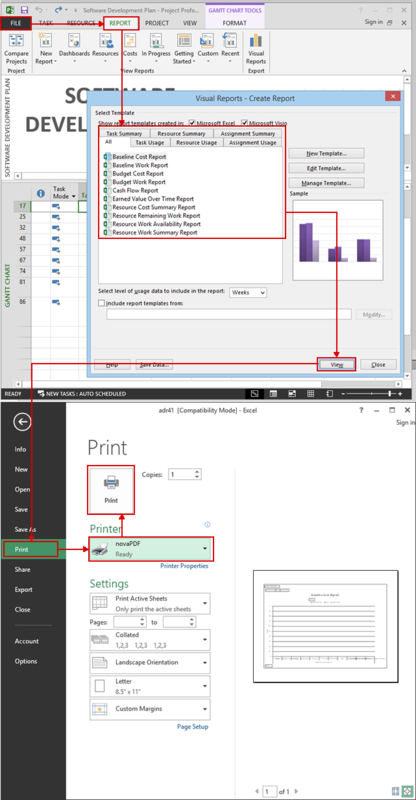 Go to File -> Print in the new Report window click on Print and if novaPDF is displayed in the Printers field then click OK.